《女人香》 Scent of a Woman George Willis, Jr.
^ 1.0 1.1 1.2 Bruce Weber & J. David Goodman, Philip Seymour Hoffman, Actor, Dies at 46, New York Times, Feb. 2, 2014. ^ Actor Philip Seymour Hoffman died of apparent drug overdose. MSN Movies. 2014-02-02 [2014-02-03]. 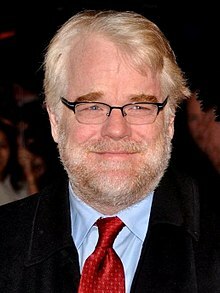 ^ Nominee Hoffman once struggled with drugs. Associated Press. 2006-02-16 [2006-11-01]. ^ Philip Seymour Hoffman does detox for heroin abuse. USA Today. 2013-05-30 [2013-05-30]. ^ Actor Philip Seymour Hoffman (46) found dead in New York apartment. [February 2, 2014]. ^ Pervaiz Shallwani. Award-winning Actor Philip Seymour Hoffman Found Dead in Manhattan. Wall Street Journal. 2 February 2014.